5 Channel Equalizer LA3600 [updated] ,One type of preamp tone / tone controls are the Audio Graphic Equalizer. Audio Graphic Equalizer have 2 kinds in my opinion. Namely Audio Graphic Equalizer Bar and the type of parametric type is often called parametric equalizer. Audio Graphic Equalizer In the article this is the type of bar with 5 channels using IC LA3600. IC LA3600 is a single chip "Audio Graphic Equalizer 5 channel" that is designed specifically for the equalizer five channels. 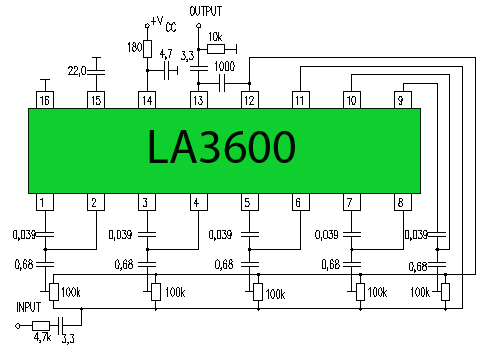 Because IC LA3600 is a special design of the equalizer circuit to make this a simple equalizer. Figure series of Audio Graphic Equalizer 5 channels with IC LA3600 as follows. Audio Graphic Equalizer circuit with IC LA3600 above can control the audio frequencies from 108 Hz to 10.8 KHz. Audio frequency which is controlled by this equalizer was 108 HZ, 343 Hz, 1.08 KHz, 3.43 KHz and 10.8 KHz. The frequency of that frequency is set based on the value of 2 pieces of capacitors in each chanelnya. So for instance want to change the center frequency of each channel value of 2 pieces of the capacitor can be changed as desired. 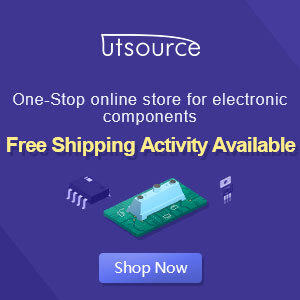 All the capacitor values in your circuit are the same for each frequency range. ? Does not make sense. Have you made an error ?